This is an exceptionally clean example of the well known 28 foot 1989 Catalina Mk II. SEA SCONSET was re-powered 3 years ago with a brand new Beta Marine 16 diesel engine and she has only seen 40 hours of run time. With a masthead sloop and fin keel configuration, she performs well under sail. The Catalina 28 Mk II’s interior is light-filled and well appointed and her cockpit very spacious… perfect for a couple or small family. NOTE: This vessel has been generously donated to the Chesapeake Bay Maritime Museum (CBMM) and is being sold as part of their Charity Boat Donation Program. CBMM has partnered with Curtis Stokes & Associates to market their premier vessels. 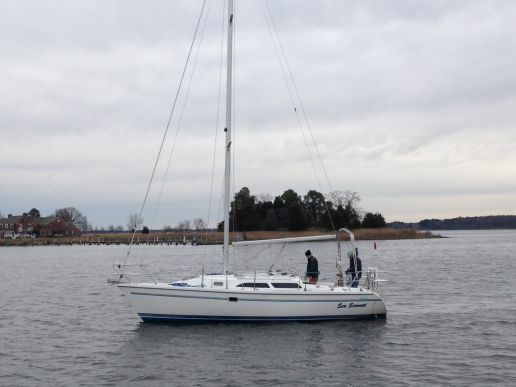 Contact Mark Welsh via Email or 410-645-0007 for more information and an appointment to view this Catalina 28 MK II sailboat for sale.